At the age of 15 George Mendoza suddenly began to go blind. In only a few months he had lost most of his sight, retaining only his peripheral vision. Despite what must have been a devastating loss, Mendoza found ways to overcome his disability. He first found an outlet in running: setting the world record for a mile run by a blind runner and twice going to the Olympics for the Disabled. Later, at the prompting of a priest friend who told him to paint what he saw, he began to turn his visions of colors and shapes into works of art. Those works of art are the clear stars of this book. Each page layout has a full page full-color image of one of Mendoza’s bright joyful paintings. Many kids will enjoy looking at the book solely for the paintings alone. The story itself is told in spare prose on the other page of each layout accompanied by a simple pen and ink illustration. The illustrations often have a bit of color from the painting on the paired page which works well to tie everything together. The text by author J. L. Powers gives a summary version of Mendoza’s story, focusing on his determination to share his unique “vision” of the world. The only thing I wished with this book was for slightly more information. There is an author’s note at the end which fleshes out some of the details of the story that are skimmed over in the text. However, I think even young kids will feel that there are places in the story that they are left wanting more. The most striking for me was when Powers quickly glosses over Mendoza’s trips to the Olympics and left me wondering how exactly he was able to accomplish such a feat. And maybe it’s just my medical background, but I really wanted to know even a little more about Mendoza’s blindness and his visions. The title of the book comes from a blind girl who asked the teenage Mendoza what colors the wind is. Later when he began to paint he remembered that question and tried to show what colors he saw in the wind and the world around him. As I’ve mentioned here before, I like to do art projects associated with books about artists. This book seems like it would be a perfect jumping off point for some really cool art with the kids. I received a review copy of this book from the publisher. I have not been compensated for my review and the opinions are my own. So which dinosaur was the greatest? Was it the tallest, the biggest, the strongest, the smartest, the weirdest, the fastest, or the smallest? Or was it the oldest bird, the best parent, the one with the best night vision, the toughest armour, or the longest nail spikes? There are a LOT of books about dinosaurs for kids out there. 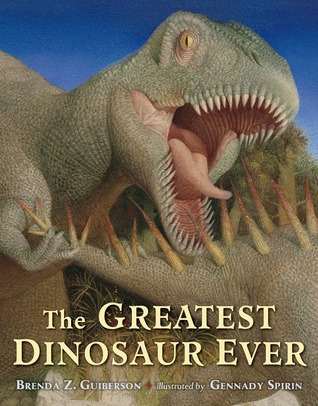 But there are also a LOT of dinosaur obsessed kids out there so there is always room for one more well-done book. Brenda Guiberson and Gennady Spirin (the same author-illustrator team that brought us the excellent Frog Song last year) have created a book worthy to add to this overcrowded genre. For a full review visit Supratentorial. Today at Supratentorial I’m sharing two relatively new books on Henri Matisse offer complementary accounts of his life and work and make for a great elementary artist study. 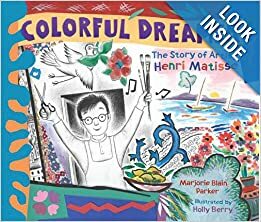 Colorful Dreamerby Marjorie Blain Parker looks at Matisse’s entire life, with about half the book in the period before he really became an artist. 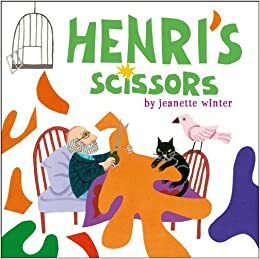 Henri’s Scissors by Jeanette Winter focuses briefly covers Matisse’s early years but instead focuses on the time after he is confined to bed as an old man and how he managed to find a way to continue creating art when he couldn’t paint by using his giant paper cutouts. For the full review and some Matisse inspired artwork, visit Supratentorial. 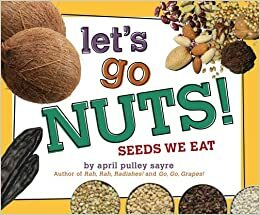 April Pulley Sayre celebrates seeds of all kinds in Let’s Go Nuts! : Seeds We Eat. The simple, rhyming text and bold photographs are a perfect introduction for preschoolers to the wide variety of foods that are seeds. From beans to rice to corn to quinoa, Sayre covers the familiar and the more exotic. Coconuts, cashews, and even spices like cardamom and vanilla have a place here. End pages give fairly extensive extra information on seeds and their place in diets around the world. I can see this one easily as a read-aloud time on food or as part of a preschool unit, especially combined with Sayre’s other food books: Rah, Rah Radishes! and Go, Go, Grapes! 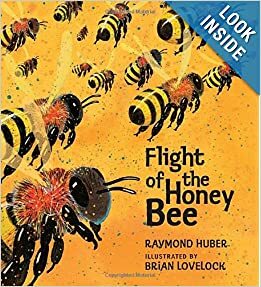 Raymond Huber focuses on the flight of a single scout bee in this lovely new book about honeybees. Flight of the Honey Bee follows Scout as she flies out looking for a food source for her hive. Along the way, the reader briefly is introduced to the other types of bees in the hive but the focus is on the scout’s flight. We see the danger the Scout encounters along the way, learn how the Scout carries the nectar and pollen back to the hive and see a bit of the waggle dance the bees use for communication. Keeping the focus on one bee makes this a very accessible book for young preschoolers and early elementary students. Read the rest of the review at Supratentorial. 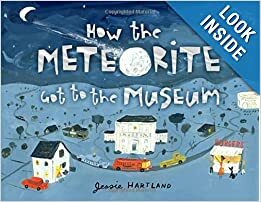 Jessie Hartland follows the formula that was successful in her previous books, How the Dinosaur Got to the Museum and How the Sphinx Got to the Museum with this new book. Here she follows the journey of the Peekskill Meteorite to the American Museum of Natural History. Read the rest of this review at Supratentorial. It’s likely that you’ve seen this book reviewed elsewhere. There has been a lot of buzz about it in the kid-lit world. And for good reason. 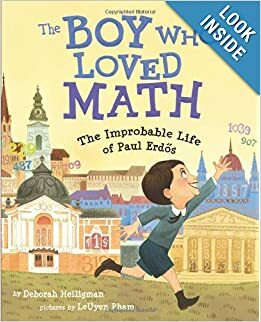 The Boy Who Loved Math: The Improbable LIfe of Paul Erdos is a wonderful biography of a fascinating man. In case you’re ignorant like me, Paul Erdos was a Hungarian mathematician known for his work in number theory and for his eccentric personality. Deborah Heligman strikes a perfect balance in this book between the story of Erdos’ life and an explanation of the mathematical problems that so intrigued and consumed him.The main focus of the text is on the life of Erdos: from a childhood where he was kicked out of school for not following the rules; to his ability at the age of four to quickly tell a person how old they were in seconds once he knew their birthdate and time; to his love of prime numbers and to his mostly itinerant life as an adult as he traveled the world collaborating with other mathematicians. When it fits with the story Heligman goes into more detail on the math itself (for example a terrific explanation of prime numbers). However, numbers and math are primarily incorporated into the book through the illustrations by LeUyen Pham. The endpages include an extensive explanation of the math she worked into the drawings. One example is that of equations and diagrams from problems Erdos puzzled over drawn into the architecture of buildings in Budapest on one page. And that’s just one example of many.